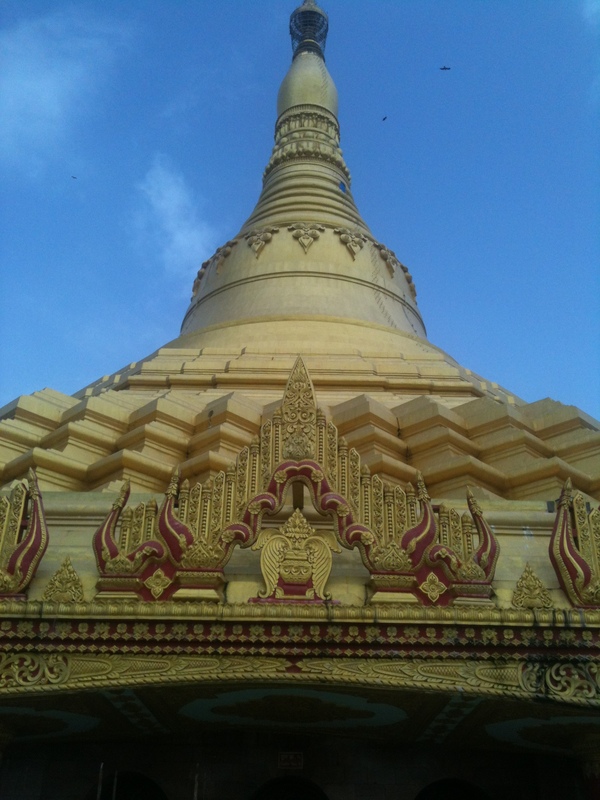 Global Vipassan Pagoda is a replica of the Shwe Dagon Pagoda in Yangon Rangoon, Myanmar. 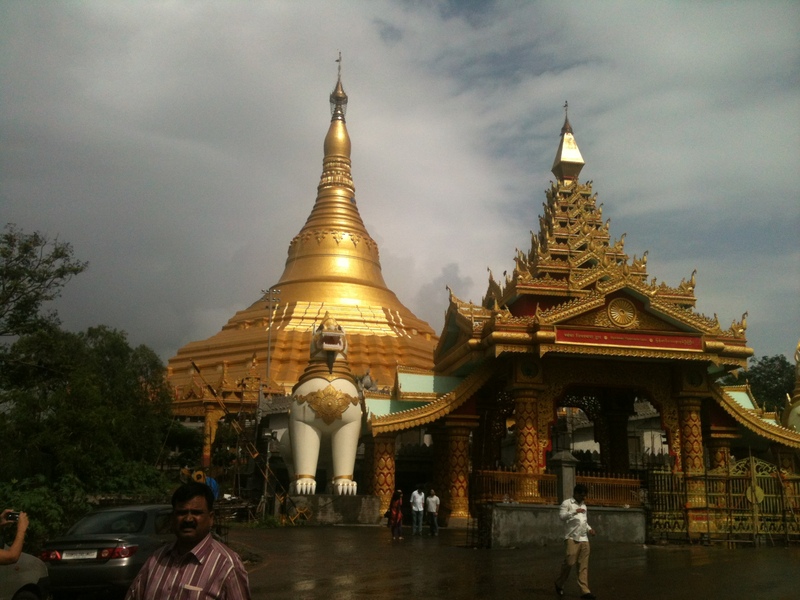 According to the tour guide at the Pagoda, it was built to re-establish the teachings of Buddha in India which seemed to retreat from this country. Hence, a magnificent structure like this attracts the attention not just within the country but in the entire world. This is the world’s largest structure built without any pillars. It took about 11 years to complete it. A beacon of light and hope, as they say! 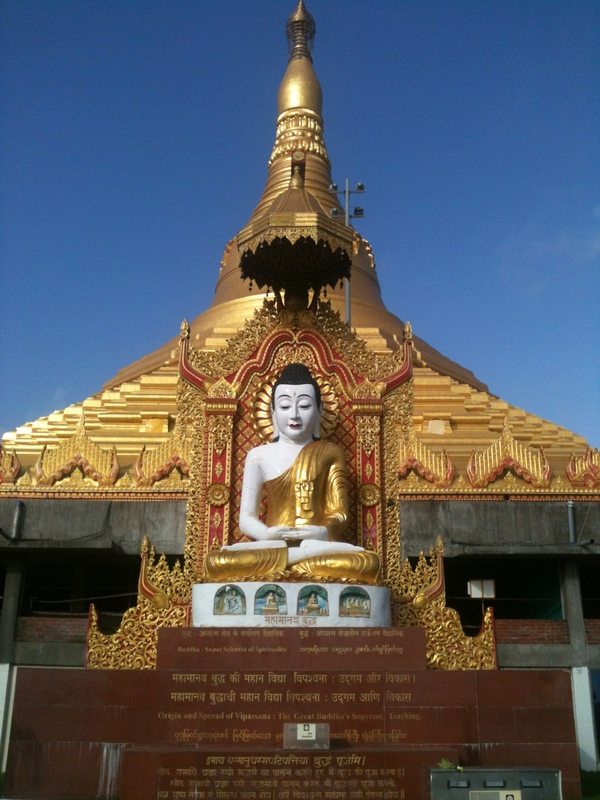 Vipassana is commonly referred for Vipassana mediation. The word is derived from the language Pali, “Vi” and “pas” which can be broadly understood as having insight into one-self or seeing through deeply inside in a special way. A synonym for Vipassan is “paccakkha” in Pali and in Sanskrit it is “pratyaksa” which means before the eyes. Thus Vipassana is to be observed through direct experiential perception. It includes any meditation technique that cultivates deep understanding via contemplation, introspection, observation of one’s body and observations about live experience. Thus, this is the type of meditation that makes you see into oneself through observation, as opposed to knowledge derived from reasoning or argument. 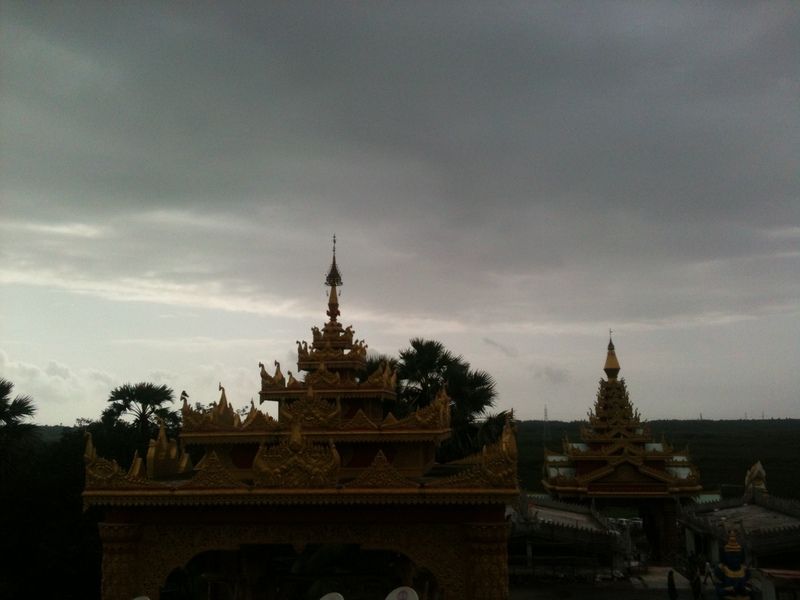 Pagoda is a tiered structure which is built as places of worship and to honour traditions. 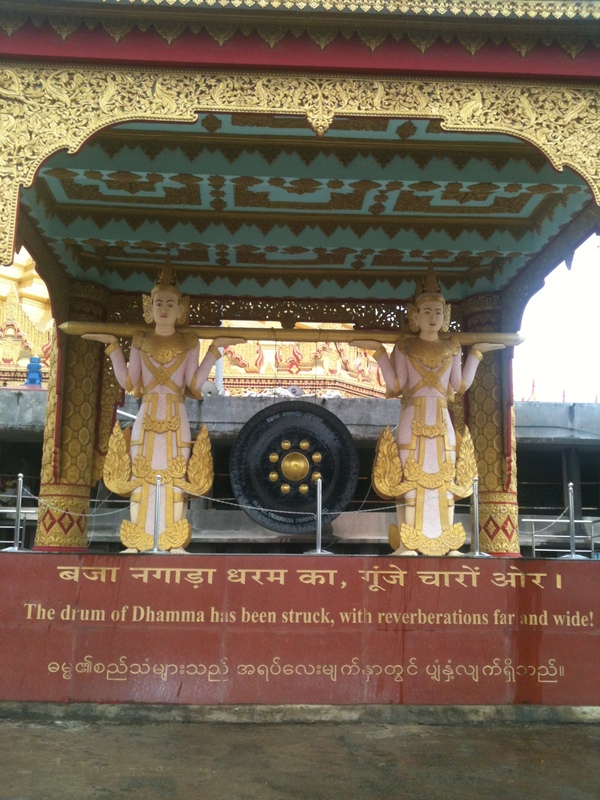 Mostly commemorating buddhist spiritual leaders (monks) and sacred relics. These monuments are commonly seen in Nepal, India, China, Japan, Korea, Vietnam, Burma and other parts of Asia. 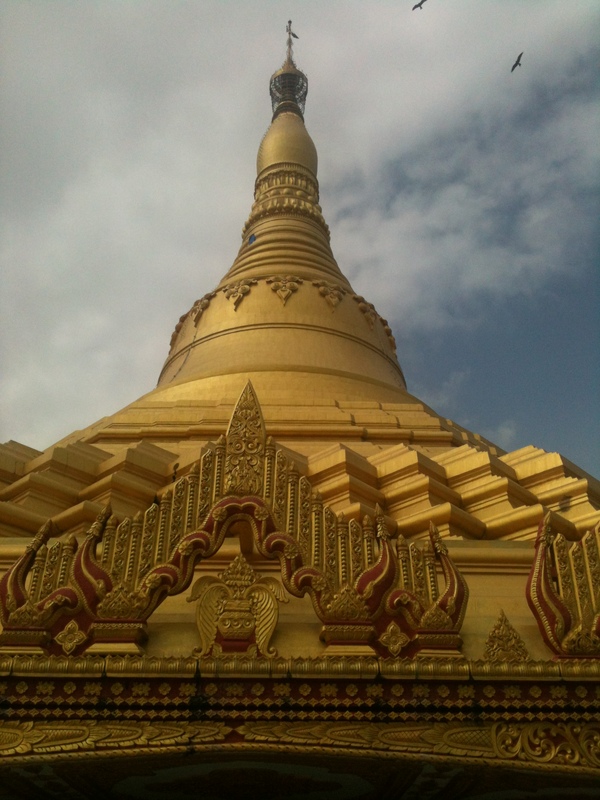 Pagoda architecture is influenced by Stupas whose origin can be traced to 3rd century BC. 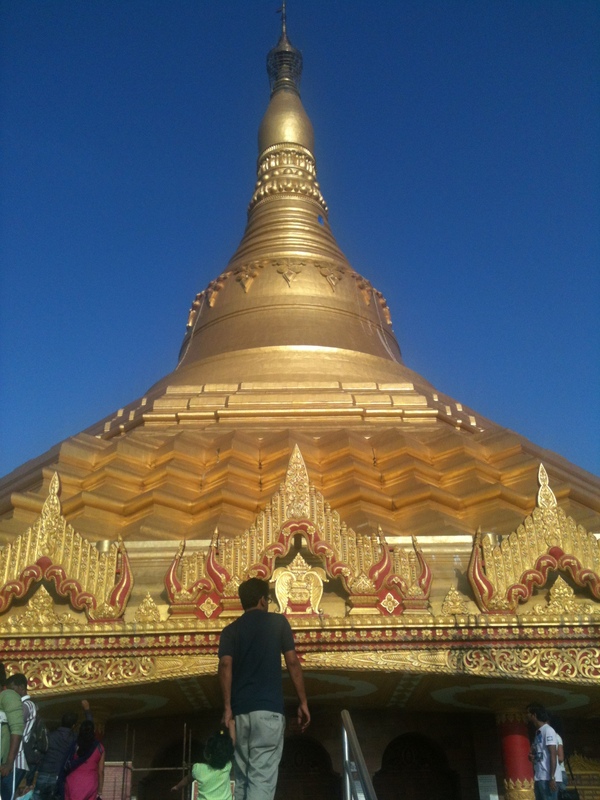 Stupa, which means “heap” in Pali language is a dome shaped structure that houses typically the ashes of Buddhist monks used by Buddhists as a place of meditation. This Buddha statue has come from Myanmar. 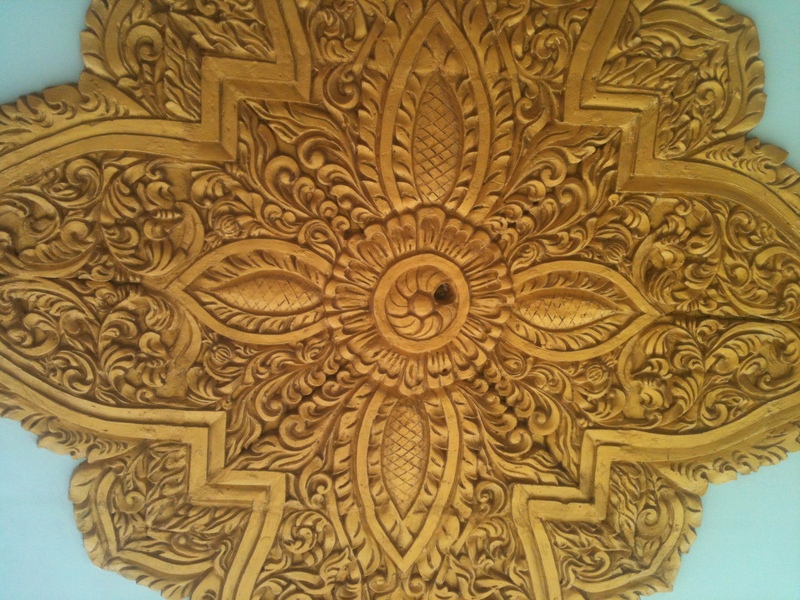 It is carved from a single rock of marble, and weighs nearly 80 MT, is 21.5′ high. 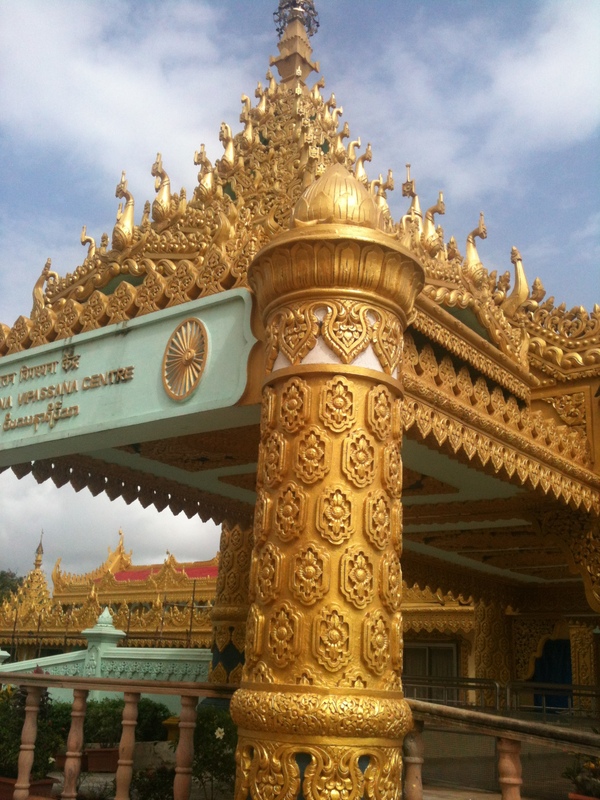 The entrance of the Pagoda. The foundation of the pagoda is built with basalt hard rock whereas the whole structure is constructed by interlocking huge sandstone each weighing about 600-700 kgs. In the center of the hall lies a keystone which weighs 10 tonnes and has been erected at 90 ft height without any centering during construction. Approximately 2.5 million tons of stone have been used, all transported from Rajasthan. 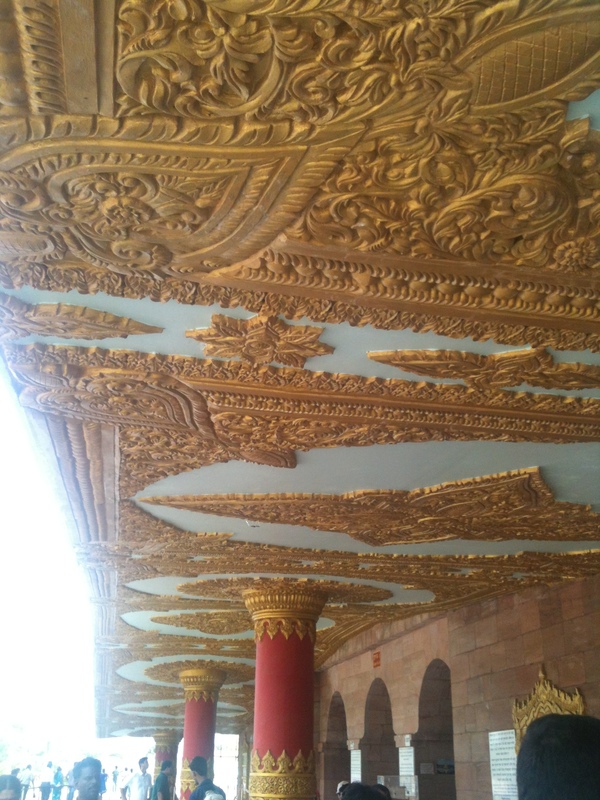 And everything that shines in this picture is actually gold, except the carvings around which is painted gold. 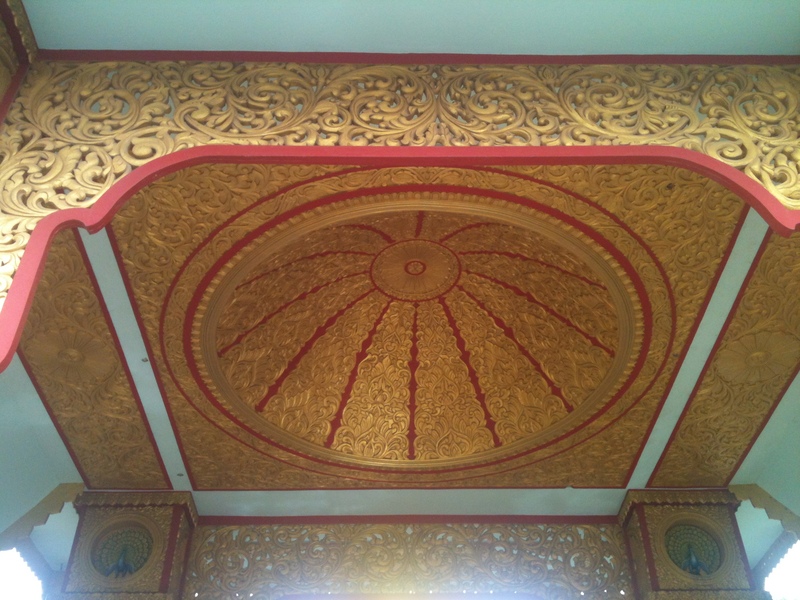 The pathway circumventing the pagoda is immensely carved and painted in gold. 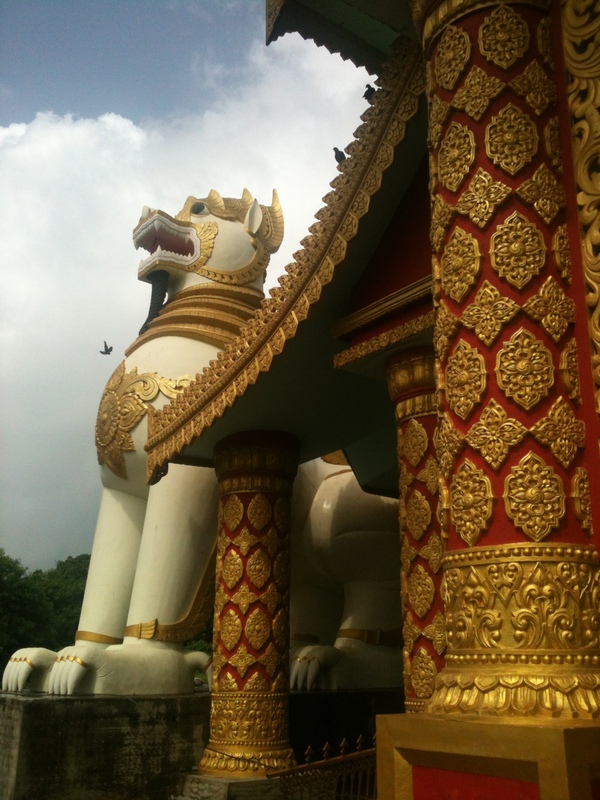 These kinds of motifs which are there around the Pagoda has been inspired by the traditional design of Myanmar. 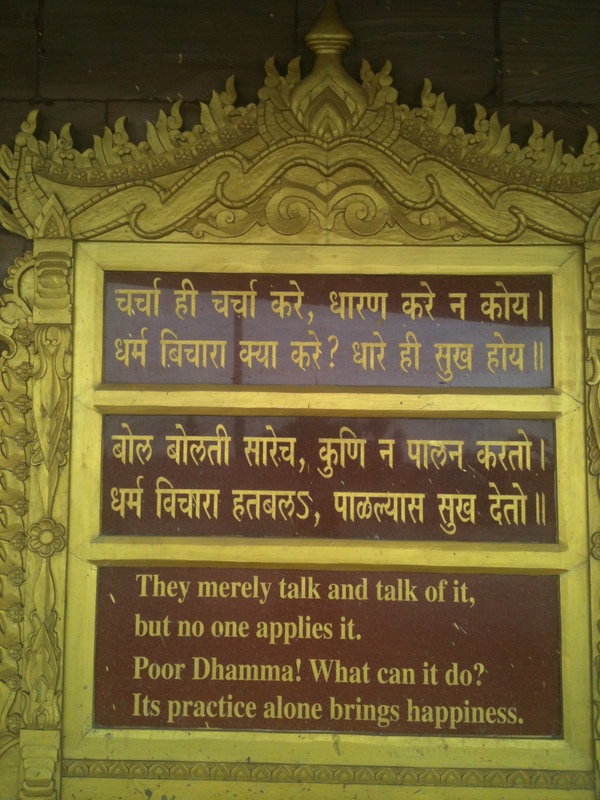 Such numerous plaques with teachings of Buddha are placed everywhere at the entrance. 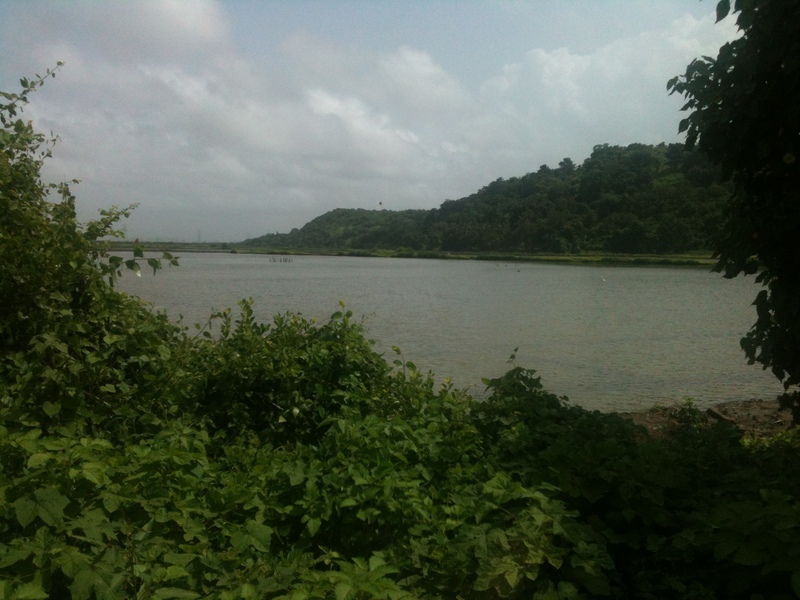 The Rai village on the way to Gorai. There were many salt pans along the roads. 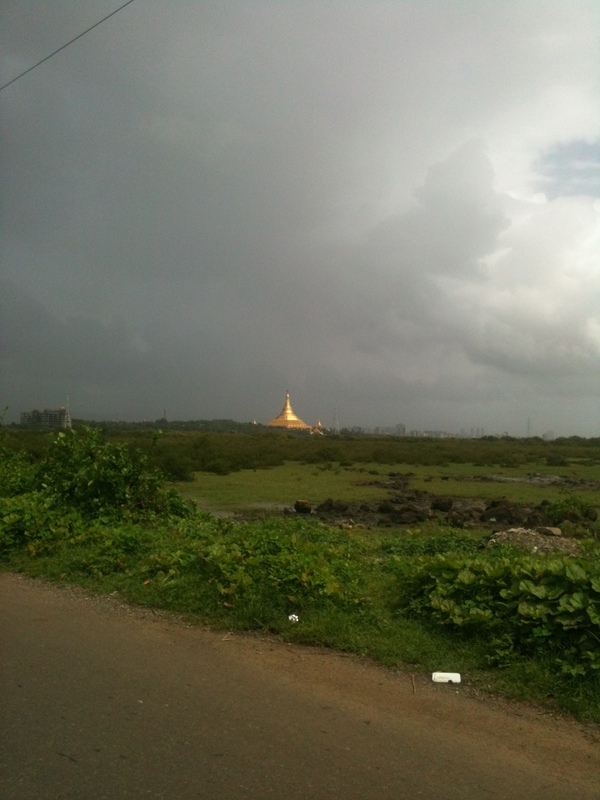 The very enthusiastic tour guide explained to all of us about the 10 days Vipassana course. During which you wake up at 4 in the morning and meditate for 10 hours in a day and hit the bed at 9 in the night. He emphasised its benefits and how life changing it is going to be. Our only way out of this suffering, he emphasised. But isnt getting up at 4 am suffering itself?? But looking at us, enslaved materialistic souls he made an extra push. All is for free, you just have to show up. Any takers? His arched brows and widened eyes set on me…my ears quickly caught someone shouting “wheels of the bus go round and round”. Phew…K to the rescue!